These artist grade, high quality and highly pigmented watercolor pans are sized perfectly for artists on the go. 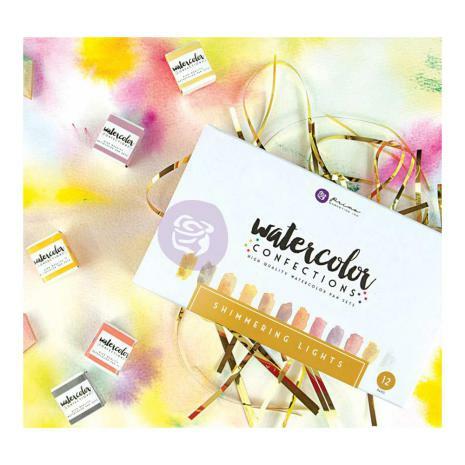 The professional grade paints provide bright, intense, smooth and long lasting colors that work beautifully for any art or mixed media project. Akvarell färg med shimmer i - härliga att färglägga med!